Can Open Source Reduce Cost for Federal IT? His company is well known for its hybrid open-source Apache Hadoop distribution. 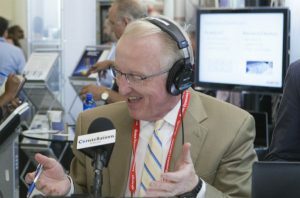 Today’s interview takes a Silicon Valley founder and has him examine the $89 billion federal information technology spend to give his observations on improvement. This is a discussion that covers everything from open source and cybersecurity to machine intelligence. Mike shows how the federal government should take advantage of open source to improve services to citizens as well as to capture, store, and process unimaginable amounts of information.